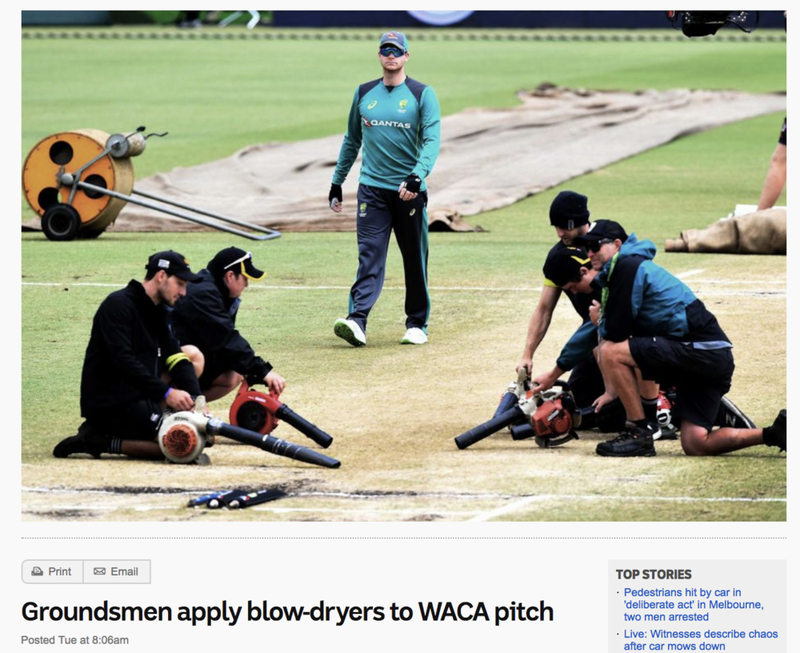 From Australia to California to Virginia, Leaf Blower Updates — Quiet Clean D.C.
Photo above is a screenshot from Australia's ABC, of "blow-dryers" being called into service on a cricket field in Perth. Virginia, USA: A letter to the editor of the Richmond Times-Dispatch, from Alan Lott. Gas-powered leaf blowers in Richmond and surrounding counties should be banned. The fumes and noise from them pose a health risk not only to operators, but to the community as a whole. In Washington, there is a group called “QuietClean D.C.” that has spearheaded legislation to phase out gas-powered leaf blowers and shift to quieter electric models. This noise is harmful not only to humans, but to pets as well. Research has attributed instances of hypertension, risk of heart attack, and central nervous system disorders to the high decibels that leaf blowers put out. Leaf blowers, chainsaws, and rock concerts all have decibels ranging from 105 db to 115 db. According to the Centers for Disease Control, ear damage from this level of noise can be caused in 7.5 minutes. Your pet’s hearing is even more sensitive. Two-stroke engines are unlike cleaner car engines. They aren’t regulated and they put out high levels of ozone-forming chemicals and fine particulate matter that are known to cause or contribute to cardiovascular disease, asthma, lung cancer, and others conditions. Even landscapers who operate the blowers are at risk from breathing in the fumes. It’s past time for Richmonders and residents of neighboring counties to wake up to problems caused by gas-powered blowers and two-stroke engines. We need to form a QuietClean group here to push for legislation that will phase out gas-powered leaf blowers and create quite communities.